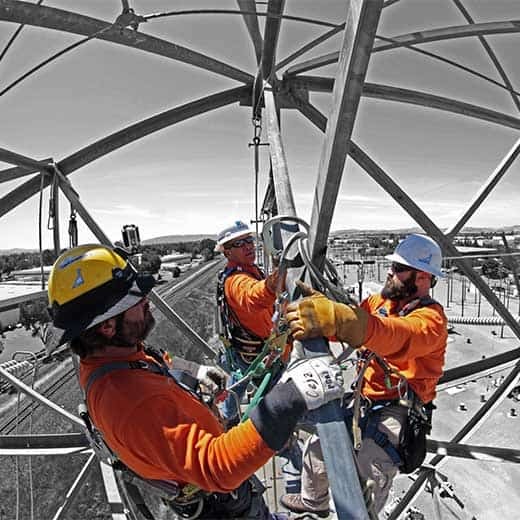 This Pole Climbing Training course is a comprehensive and cost-effective method of ensuring that your workers have the proper training and equipment to climb and work on telecom or utility poles safely. Does your company have a documented pole top rescue plan? Are your employees trained and certified to execute a rescue in a timely manner with proper training and equipment available? Most pole top accidents dating back over 30 years have been blamed on poor climbing techniques, and many linked to either inadequate and/or no training. Whether you are a seasoned veteran with experience or a newer climber, this course has proven to be beneficial to wood pole climbers at all experience levels as we address standards, techniques and proper equipment. This Pole Top Climb & Rescue course is suitable for new and experienced climbers required to work on or maintain wood poles and electricity poles. OSHA requires workers to be trained and certified in proper climbing and rescue methods for working at elevated positions on wood poles. No formal prerequisites for this course. This course meets the requirements of the OSHA Regulation. The Field Session will consist of demonstrations followed by student participation in order to demonstrate proficiency. Time spent on specific topics will vary according to student’s needs. Proper tailboard meetings will be held prior to starting and all students will participate as a group. Various rescue scenarios will be given and students will have to work together. Classes can be tailored to specific scenarios that climbers are faced with. Students will receive the Safety One Pole Top Climb & Rescue Student Manual and other materials necessary for the course. Three levels of Rope Access Training courses to students who use rope access as a method to gain access to their worksite on tall structures.